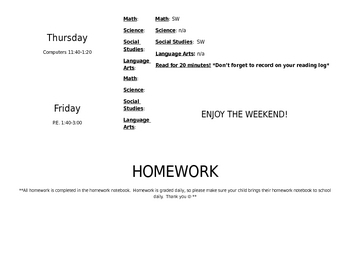 This is how I send my homework home each Friday. I write down the assignments on the right hand so parents know exactly what homework to do each night. On the left hand side, it says what we did in class that day in each subject. 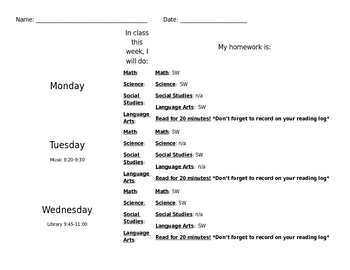 It allows for parents to have all the weeks assignments ahead of time.